Tha Pai hot spring is found close to Pai district town in Mae Hong Son province in the northwestern tip of Thailand. 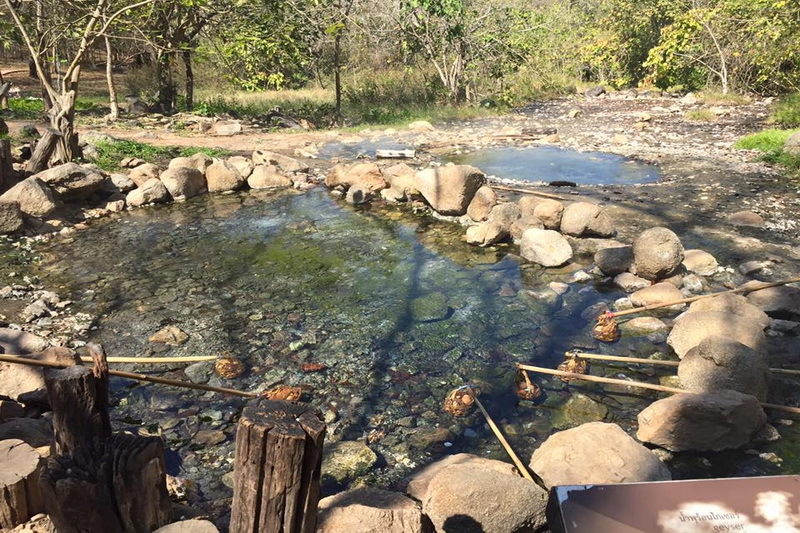 Tha Pai hot spring or Pong Nam Ron Thapai is one of the first you can visit after you have arrived in Pai and settled yourself in is located in the Huai Nam Dang National Park, just two kilometers off Route 1095. 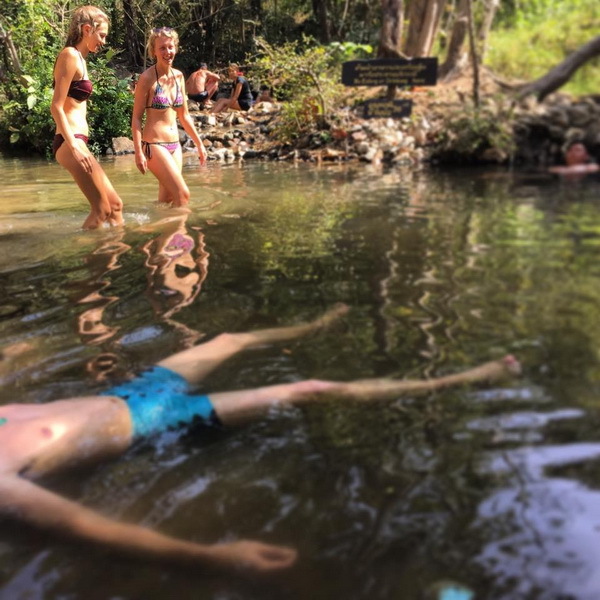 The springs have an average temperature of 80°C. Steam from the springs permeates the site in the morning creating fascinating sights. Through it flows a scenic stream, which mixes with the hot springs in places to make pleasant bathing areas. The water is also diverted to a couple of nearby spas. The natural hot baths run like a stream down multiple small waterfalls and get cooler the further down you go. The location is very quiet and peaceful and is surrounded by natural forest. Visitors enjoy making boiled eggs with hot spring. The eggs will be done in 15 minutes. There is a toilet, shower and restaurant inside the complex, so you don’t need to worry about hygiene, drinks or food. Tha Pai hot spring is a nice spot, the water is warm, but better enjoyed early morning when it’s still a bit chilly and the crowds haven’t arrived. Tha Pai Hot Spring is located two kilometers beyond Pai Canyon, about 20 minutes ride from Pai village. 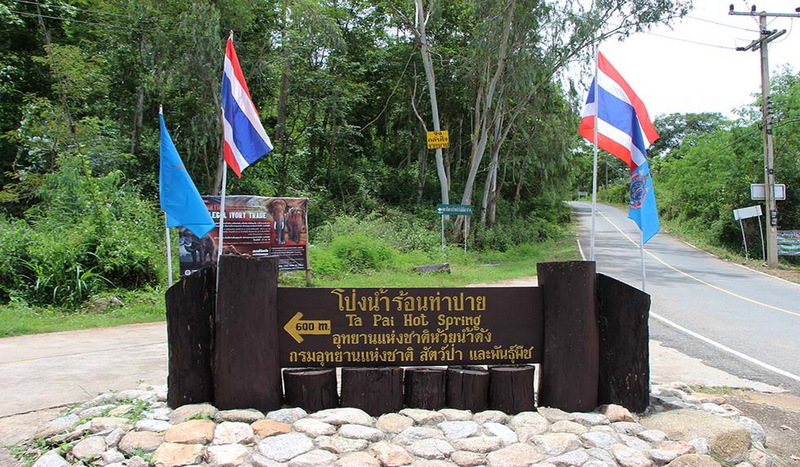 The entrance to the park is kilometer 87 and 88 on highway 1095 (Chiang Mai – Pai – Mae Hong Son). Admission Fee is a bit expensive 300bat for foreigners, without time limit.